Nanjing Lukou International Airport (NLIA, simplified Chinese: 南京禄口国际机场; traditional Chinese: 南京祿口國際機場; pinyin: Nánjīng Lùkǒu Guójì Jīchǎng) (IATA: NKG, ICAO: ZSNJ) is located in Nanjing, Jiangsu province, over 35 km from the downtown area in the southeast outskirts of the city. 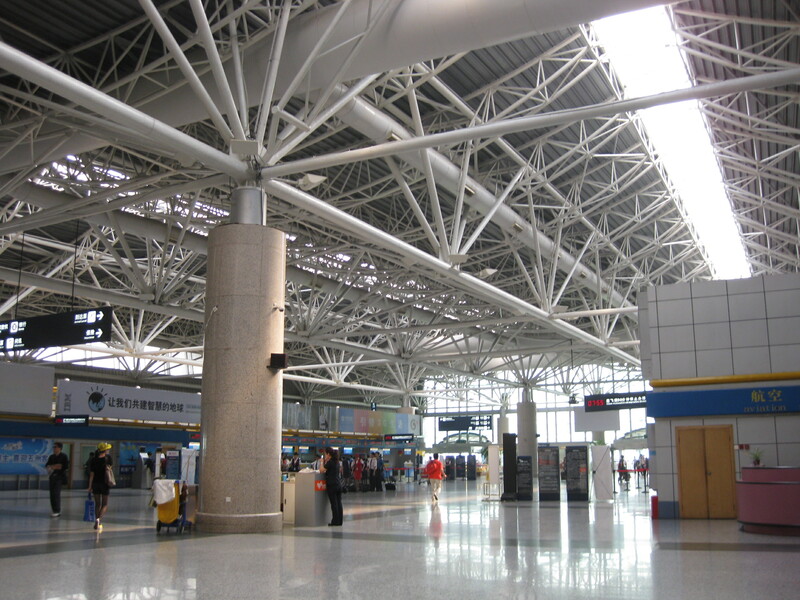 In 2009, Nanjing airport handled 10.84 million passengers and 200,000 tonnes of air freight, that ranked 9th busiest by cargo traffic, 14th busiest by passenger traffic in China. Current airport masterplans call for the building of a second passenger terminal and a second runway and taxiway system by 2013 (Phase 2), raising its capacity from the current 12 million passengers annually to 30 million, along with the ability to handle 800,000 tonnes of air freight by 2020. On July 31, 1992, China General Aviation Flight 7552 crashed into a pond past the runway after takeoff. 8 of the 10 crew members and 100 of the 116 passengers died.